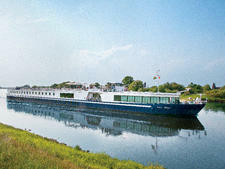 Consider it the Elderhostel of the waterways. 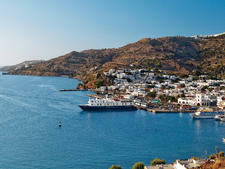 For more than 15 years, Grand Circle Cruise Line, a division of Grand Circle Travel, has specialized in delivering small-ship cruises that emphasize learning, among comfortable circumstances, to its extremely loyal clientele. 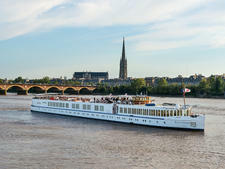 Part of the Boston-based company's fleet of 13 European river ships, River Adagio -- and its sister, River Aria -- is currently the largest and, although it launched back in 2003, the newest. 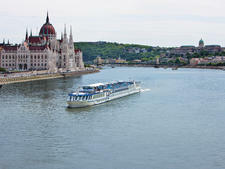 Built specifically to navigate the locks and canals that lead the Danube into the Black Sea, the ship can usually be found on routes between Constanta, Romania, and Budapest, Hungary, as well as the upper stretches of the river through Slovakia, Austria and southern Germany. Strong emphasis on education and culture, with home-hosted lunches, visits to local charities and local guides. Cabins have fixed twin beds; clientele is on older side. 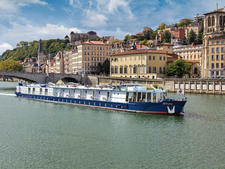 Offering value and enrichment instead of the most up-to-date amenities, River Adagio is a good choice for older cruisers who want to be immersed in the places they visit. Traversing the former Eastern bloc countries that make up the Lower Danube can be a sobering experience. Yet on River Adagio, program directors hired from these countries do a yeoman's job of helping passengers make sense of what they are seeing. Daily handouts, lectures, documentaries and port talks supplement the city walks and bus tours that are included in the cruise price, and on our trip, guides didn't shy away from questions about controversial topics. 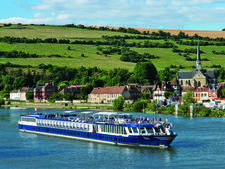 Grand Circle also features at least one home-hosted meal during its river cruises, and most also take travelers to see projects that are sponsored by its charitable arm, the Grand Circle Foundation. You won't leave this cruise without one or more interactions with locals, who give you a firsthand view on what the fall of communism has meant to them personally. And while the ship lacks the bells and whistles that have become standard on newer river ships, that's OK with the clientele, who consider value the driving factor behind their GCT brand loyalty. 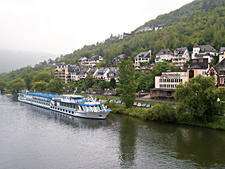 We did notice several passengers checking out with interest the newer vessels from Uniworld and Tauck that joined us on the river. But when people heard that our ship completed the journey to Constanta through lower-than-average water levels, many commented on the skill of the captain and crew. The cabins, which feature stationary pull-down twin beds that seem quaint when compared to other lines with hotel-style rooms, are comfortable enough, as are the lounge and other public areas. Because every room on the ship is the same size -- even cabins with balconies have the same square footage as standard staterooms -- there's an egalitarian feel to the experience (and from the sounds you hear walking down the hallways, you know that everyone is coping with perhaps the noisiest marine toilet in existence). That homogeneity extends to the ship's passengers, who seem startlingly similar in background and sensibilities. Born out of the AARP in 1958, Grand Circle Travel restricts its voyages to mature Americans and draws primarily from those in the upper age brackets. 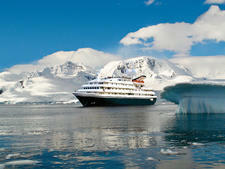 (While a handful of passengers are in their 50's and 60's, ship staff say that 70 is the norm. Despite this bias toward those moving into their Golden Years, the trip itself contains a fair amount of walking, often over difficult cobblestone streets. 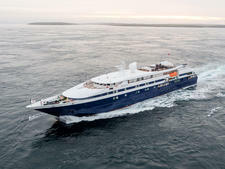 Active, inquisitive and well-traveled, most Grand Circle customers are up to the task -- and, by the end of one cruise or land tour sponsored by the company, have already made plans to book their next. Originally founded as the travel arm of the AARP, GCT has maintained a strong reputation among that type of clientele, despite ownership changes in 1985. 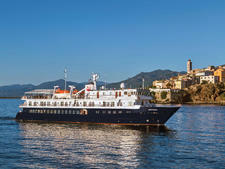 The loyalty that the company engenders is downright astounding in a time of increased competition for travel dollars: on a recent Eastern Europe cruise, 118 of the 152 passengers were Inner Circle members, meaning they had taken at least three trips and cruises with Grand Circle or OAT -- Overseas Adventures Travel, part of the same company. 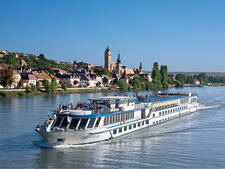 As mentioned previously, the average age of a River Adagio passenger is 70, plus or minus a decade. It's a well-traveled bunch, albeit one that enjoys the convenience of group tours. Grand Circle has a roommate service that matches singles, making the line a good choice for widows or widowers or those who have spouses that don't like to or can't travel. Pre- and post-trips, as well as the open-seating and daily city tours, encourage mingling; on our trip, the cruise staff even put out a signup sheet for bridge. Cruise Critic’s professional photographers and our extraordinary community members have taken 249 pictures of Grand Circle River Adagio. When you visit our photo galleries, you can be assured that what you see is what you get. 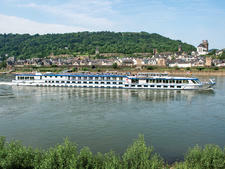 As with most river cruises, the ship eschews formal nights, and sports coats are not required, although the older clientele means that you don't see many jeans or T-shirts at the dinner table. Most women wear casual slacks and dressy tops. You'll want comfortable walking shoes for touring, as many towns have cobblestone streets. Women won't need heels. 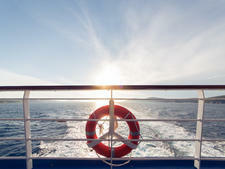 Prices onboard are quoted in euros, although your final bill is translated to U.S. dollars. 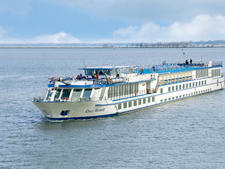 The ship can change cash and travelers checks in euros, dollars and Swiss francs. 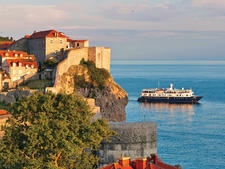 While the ship can't change local currency, exchange rates are posted for your convenience. Gratuities for the crew are paid at the end of the trip, in cash or with your credit card as an addition to your total bill. The company pools tips, and you are not encouraged to give individual amounts to waiters or housekeeping staff. The recommended amount is $10 to $12 per person, per day. Program directors are considered individual contractors, and they can't accept credit cards or travelers checks. The company recommends $4 to $6 per day (although that seemed cheap for the amount of work they do). And finally, you'll want to budget a few small bills, in euros, dollars or local currency, for tips for local guides and bus drivers.